• A late August news story about a six-year-old boy who was allegedly given a 23-book deal caught the attention of numerous global news outlets and became something of an urban legend. In truth, it was a hoax. • The story was a hoax fabricated by the child’s mother, who’d already previously published several books with vanity presses. Maybe it was the heat? 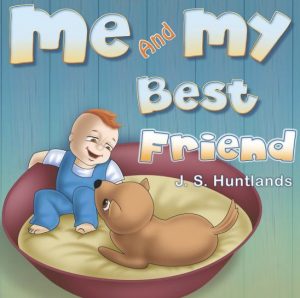 In late August, a number of worldwide newspapers and online news outlets, particularly in Great Britain, carried a story about 6-year-old Leo Hunter, who is said to have been offered a 23-book deal with Strategic Book Publishing of Boca Raton, Florida worth thousands of dollars after he supposedly wrote a book titled Me and My Best Friend about him and his dog. Among the UK newspapers that were taken in by the story were the Daily Mirror, The Sun and The Daily Telegraph. Several US outlets also bit on the tale. A story by reporter Paul Whyatt at the “This Is Derbyshire” website originated most of the new urban legend that generated worldwide media coverage. According to that story, Leo’s mother, Jamie Hunter, a novelist who lives at Derby Road, Spondon, in Derbyshire, England, and writes under the pseudonym J.S. Huntlands, “gave her literary agency Leo’s tale, and they brought it to the attention of U.S. publisher Strategic Book Publishing,” which then offered the alleged 23-book deal. As to Jamie Hunter’s author credentials, she wrote a novel about domestic violence, Nick Twisted Minds, which she paid to publish with U.S. vanity press AuthorHouse. Leo supposedly will write under the same pseudonym as his mother, J.S. Huntlands, to protect his privacy. Trouble is, the story is a hoax. Mom Jamie was, indeed, under a contract with Strategic to publish Me and My Best Friend, when son Leo was only four. In the introduction to the book, she writes, “Thank you to my son for the inspiration to write this series.” But, as for a publishing deal, Robert Fletcher, the principal in Strategic Book Group, responding from China, where he attended the 2010 Beijing Book Fair, said there were no contracts at his company with Leo Hunter. Me and My Best Friend was published in July 2009. It has gone nowhere since then. On Sept. 5, the paperback children’s book was ranked #6,099,472 on Amazon.com, about as bad as an Amazon ranking can get. There’s a camp that believes publicity sells books, and that any publicity is good publicity. Here we have a story that went around the world, resulting, likely, in millions of impressions. Did all that publicity sell any books? Not if we look at the Amazon ranking. Despite all the publicity, there was no movement for Me and My Best Friend. If there’s any other lesson, it’s that it’s important for aspiring authors to remember that there are hundreds of hard-working legitimate publishers, large and small, who don’t charge and are vying for your business. Before deciding to pay to produce your book, consider seeking them out. If you can’t find a conventional publisher, do your due diligence research and don’t fall for a seductive sales pitch that’s too good to be true. Your hard work deserves better. DISCUSS: How young is too young to publish?